As your owner’s representative, we serve as an extension of your staff and protect the interests of your capital investment at all times. HGA provides guidance on your behalf in the coordination, decision-making and execution processes through the lifecycle of your project. From Large Public Programs to Mega PetroChem/Manufacturing Projects, HGA serves as owner’s representatives to provide the expertise, processes and project controls. 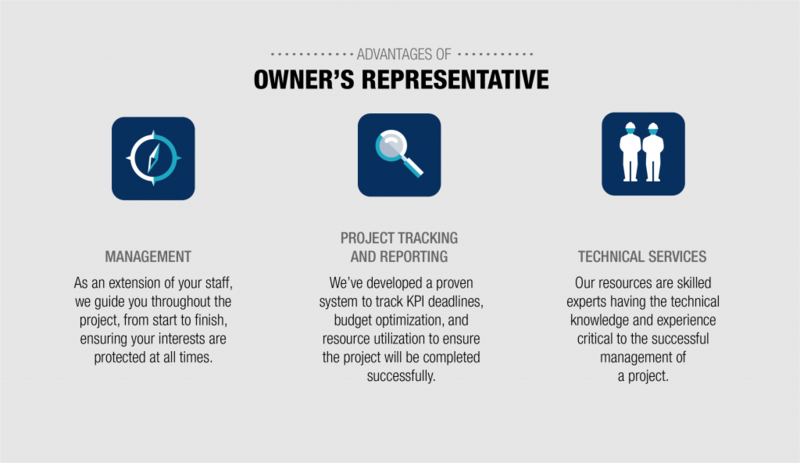 Focusing on the entire project—our program management professionals interact closely with your team to optimize project operations. Our VistaTRAK decision support solution provides real-time insight anywhere for dramatically improved productivity, analytics and visibility. Our technical and construction resources are skilled experts having the knowledge and experience to help you meet the challenges of keeping your project track to meet your goals. HGA’s construction management team works closely with owners to provide seamlessly integrated solutions to ensure project scope requirements are met and completed on time. How can we help you? Learn more about the industries we serve as well as our other owner’s representative services, or contact us for more information.